This extends Reseller Club to accepts money/payments through CCAvenues Payment gateway on your supersite. 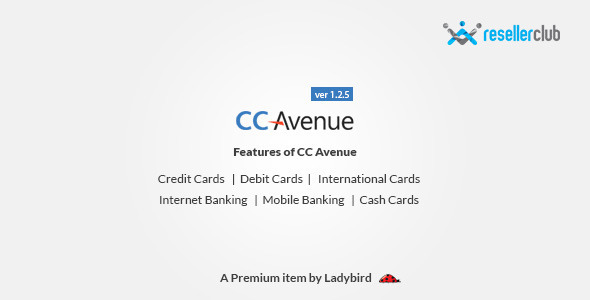 CCAvenues is one of the most popular payment gateway used in India, integrate it with your supersite or reseller panel provided by Reseller Club. Open the documentation, make slight changes, enter API/key values from CCAvenue & Reseller Club account to the files as shown in documentation. Start accepting payment on your store front within 5 to 10 minutes.